Plant hormones are plant - based signal molecules that occur at extremely low concentrations. 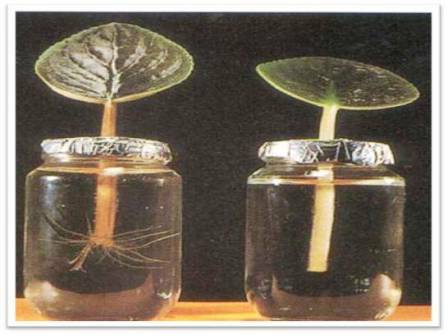 Growth regulators of a plant are also known as plant hormones, which coordinate plant development. In agriculture and horticulture, plant hormones are used to have a specific developmental effect. Auxins were the first class of plant hormones to be discovered and their main function is to help plants grow and it stimulates plant cells to elongate. Many plant hormones were found, but the five major plant hormones were Auxins, Gibberellin, Cytokinin, Ethylene and Abscisic acid. These five plant hormones can work alone or independently to influence the growth of plants. Ethylene is the most commonly used and important in plant Hormones as it is used in fruit ripening, plant senescence and also as a stress signal for plants for wound healing and infections.